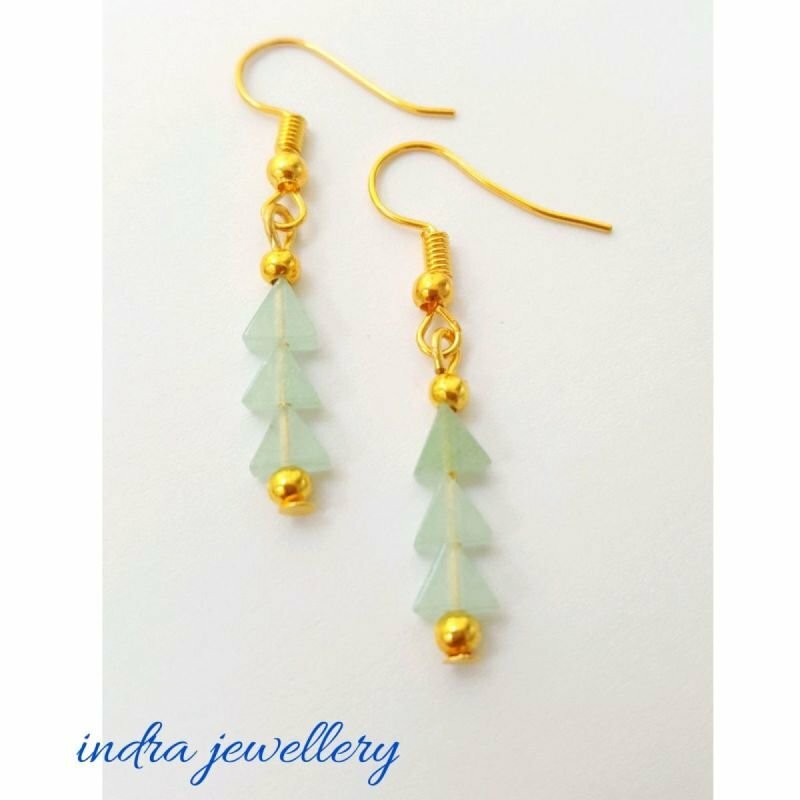 This is a pair of stunning gemstone earrings, made with a trio of little green aventurine beads which are triangular in shape with gold toned hooks. These are so pretty and unusual and being aventurine gemstone have a beautiful light green hue in the light. The Aventurine stone is known in the gemstone world as one of the luckiest stones, which makes it a must-have for inviting good luck and prosperity into your life.